Guru Drakpo Kilaya is one of the wrathful manifestations of Guru Padmasambhava and this practice overcomes obstacles and serious illnesses. 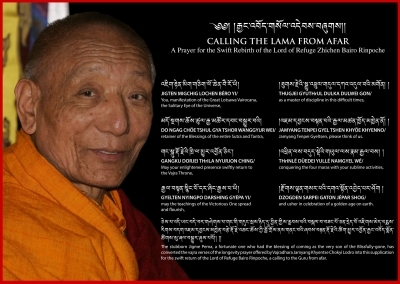 Born in Ladakh in 1986, His Eminence Kyabje Thuksey Rinpoche was recognised by H.H. 14th Dalai Lama and H.H. 12th Gyalwang Drukpa as the reincarnation of the first Kyabje Thuksey Rinpoche – a prominent figure in Himalayan Buddhism during the last century. After his exile from Tibet, he ensured the continuity, legacy and teaching of the Drukpa School of Buddhism, establishing one of its main monasteries, Druk Thubten Sangag Choeling, in Darjeeling India. His Eminence Thuksey Rinpoche spent most of his childhood in this monastery before continuing his education for nine years at the prestigious Tango University in Bhutan. An accomplished meditation master, His Eminence has taken on many responsibilities including the management of the monastery in Darjeeling, the Druk Pema Karpo School - an award-winning educational project in Ladakh, and the Drukpa centres of Buddhist studies and meditation in Europe. He is an articulate advocate of compassion in action, having also set up an animal sanctuary in the Himalayas. His Eminence is part of the young generation of spiritual Masters who bring a contemporary and modern approach to Buddhism and spirituality. He speaks fluent English and is able to teach from a depth of realisation, communicating the essence of spiritual teachings in an engaging manner. Globalisation, the development of the virtual world, instant and plentiful methods of communication have paradoxically isolated us from each other and call for more humanisation. One needs to develop benevolence towards oneself and others, to be able to listen to, and be open to others. Clear understanding is required for empathy and compassion to exist. Sengey Tsewa is a practice of Prajna Paramita (the practice of Wisdom). 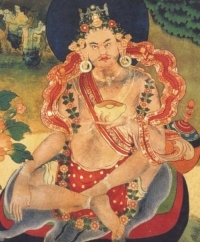 Dakini Machig Labdron offered the teaching of Sengey Tsewa (The Revelry with the Lion) to the Great Omniscient Kunkhyen Pema Karpo (the Fourth Gyalwang Drukpa 1527-1592) through his master Awa Dhutipa. Ever since then, it has been the main practice of many historical yogis of Vajrayana Buddhism. As taught by His Holiness the Gyalwang Drukpa, the entire practice of Buddhism is to inspire the practitioners to open their hearts so that the blessing/understanding will be there without any obstacle or difficulty. The focus of teachings and practices such as chanting, spiritual dances, spiritual yoga, recitations, pujas, etc. is to inspire us to achieve an understanding mind, which also known as the Mind or Heart of Enlightenment. 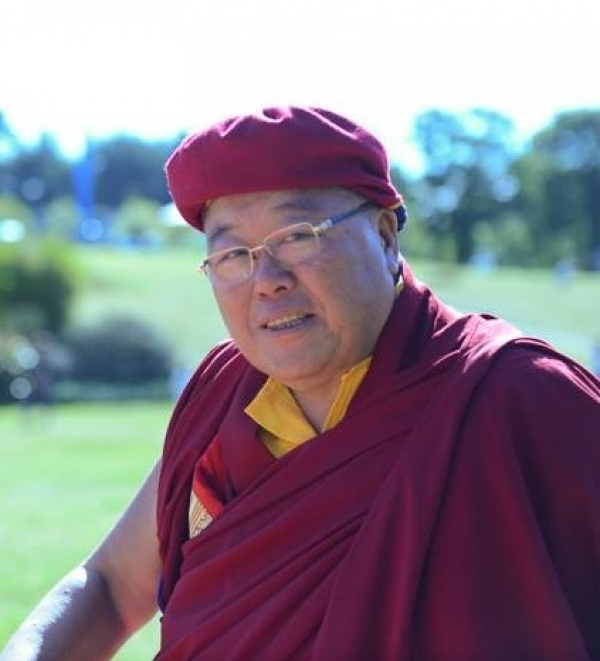 We are happy to announce that His Eminence Kyabje Thuksey Rinpoche will be visiting London in January 2015. The previous Thuksey Rinpoche was the first guru of His Holiness the Gyalwang Drukpa and we are especially delighted to welcome His Eminence now on the occasion of his first visit to the UK. We are delighted to welcome five of His Holiness's nuns to our centre in September for a programme of teachings and practice. The nuns are accompanying His Holiness Gyalwang Drukpa on his European tour and have kindly agreed to give teachings and conduct pujas at our centre. The Venerable Drubpon Ngawang is also coming with the the nuns and will join us for the programme.